Exercising when you’re over 50 is just as important as when you’re younger. 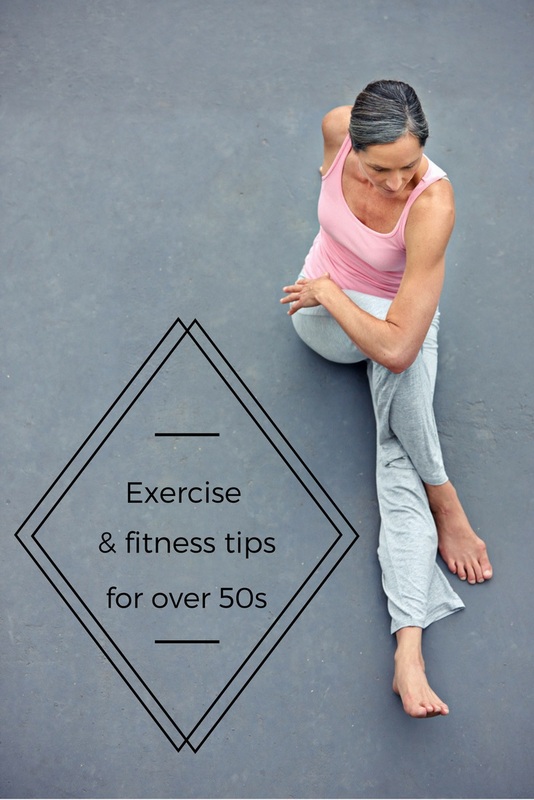 Age is never a factor to stop you from being active and there’s a whole lot to be said for taking a positive mental approach to fitness well beyond your 50s. There’s no need to feel that as the years advance you have to limit your workout because you’re ‘too old’, but there are some adjustments that may make your routine more effective and appropriate for your age group, according to Lorraine Furmedge of the Fitness First chain of gyms and health clubs. I have noticed, and I wonder if you have too, that the older I get, the harder it is to see results from exercise. This is quite depressing and frustrating, I know. The temptation is to attack the exercise regime with even more vigour than in earlier decades, however, Lorraine says that this is not the best method of getting results. She suggests that making a series of slight adjustments to our use of equipment and other aspects of exercise can make a significant difference. Limit your cardiovascular workout on the treadmill to between 20 to 30 minutes. If you’re doing more than that you are focusing on time rather than effort. It’s better to work on the treadmill intensively for a short period of time: when you are breathless but still able to talk, that’s the time to stop. Also, make sure that you vary your treadmill workout and use the range of programmes available. Variety is the spice of life and adding a bit of sprinting and altering the incline stops your routine from getting stale. As Lorraine says: “Don’t just press Quick Start,” explore the treadmill’s potential. We women only have small amounts of testosterone in our bodies and that means it is hard for us to build muscle. It is even tougher for us to tone and improve our muscle definition. Add the ageing process, which decreases our muscle density, and we have to find a way to increase muscle and sculpt it. The best way for us to tone up is to use low weights and high repetitions. Lorraine recommends two to three sets of 12 to 16 repetitions. To build muscle, you use heavier weights and fewer repetitions. Also, accept that seeing change will take longer than in your youth. If you’re following a comprehensive routine that includes a cardiovascular and aerobic workout plus weights for resistance training, then you really shouldn’t need to spend an excessive amount of time in the gym. You may think that spending two hours on your CV routine is bound to be beneficial, but Lorraine says that it’s actually “a waste of time.” She recommends sticking to a 45-minute routine three times per week, because if you work out for longer, you’re too tired to gain the maximum benefit. Make a decision about what you want to achieve. My goals are usually weight loss and arms without ‘bingo wings.’ Lorraine says that it’s better to set some small goals and that it might be better to decide to go for weight loss first and then toning your muscles. Focusing on one goal at a time prevents you from endlessly switching between classes and equipment in the attempt to cover all the bases. Always warm up before any exercise activity. You should even have a bit of a stretch before yoga or pilates. Warming up prepares your body in vital ways; it releases hormones into your joints and muscles that help to prevent injury and it prepares your mind for exercise. It doesn’t need to be for more than three to six minutes. Finally, Lorraine says it’s time to add some variety to your routine because what worked in your 40s needs an update in your 50s to adapt to your changing physiology. If you’re not sure how to change, ask at the gym for an expert who can advise you. So, if your gym routine doesn’t seem to be as effective any longer, don’t give up the gym; just change your workout!